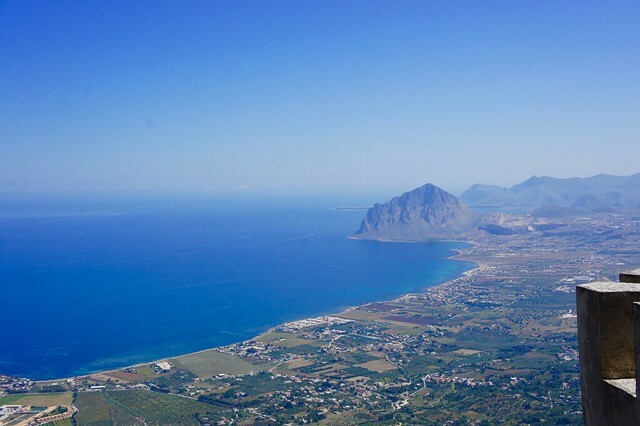 There are, of course, similarities between Sicily and the rest of Italy, and one of the most important is the dominance of the local, family-run business. 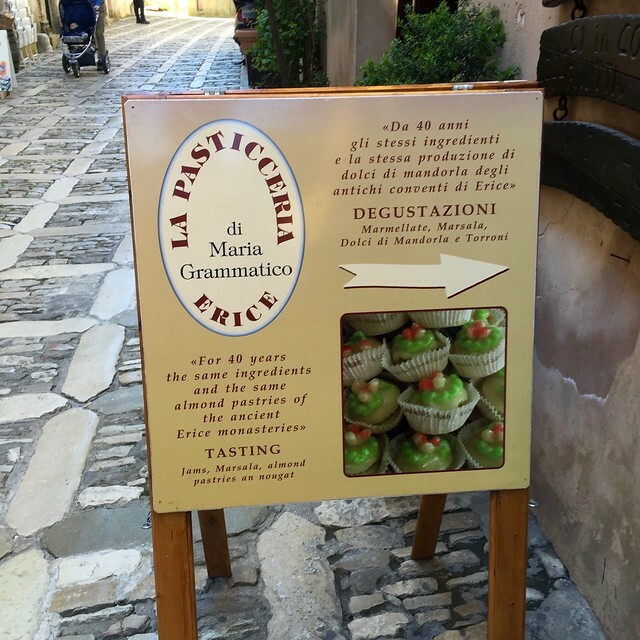 An excellent example is Maria Grammatico's famed pasticceria, located in the hilltop town of Erice on Sicily's western coast. One of six children, Maria entered a convent at the age of 11 to escape the hardships of post-war Sicily in the 1940’s, and there she learned the art of working in almond paste and marzipan. 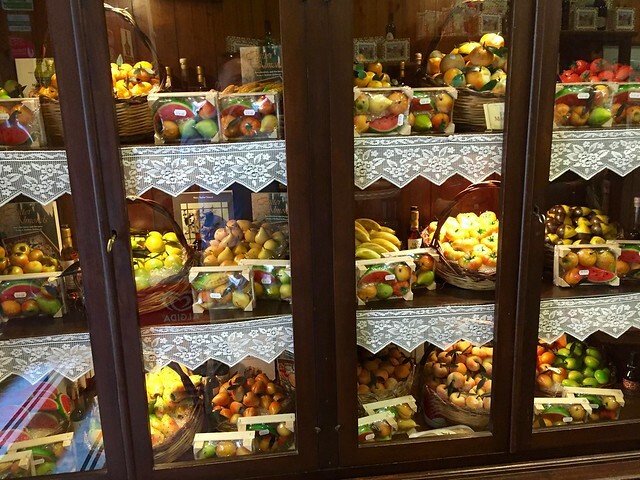 Sicilian convents have long been famous for their almond-based sweets and pastries, and Maria soon learned how to make the intricate “pasticcini” and marzipan fruit and figures so beloved on the island. She left the convent in 1963, and opened her own pastry shop, La Pasticceria di Maria Grammatico, 15 years later. Though the nuns were less than pleased with their new competitor, Maria was able to put to use the techniques she had spent years mastering and reproduce some of the most traditional sweets, while at the same time developing her own specialties. 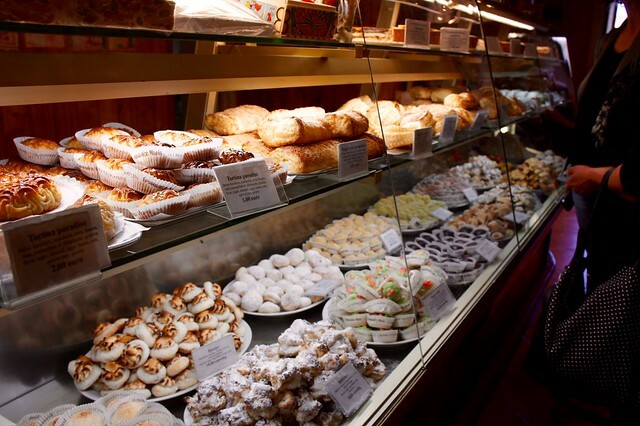 La Pasticceria di Maria Grammatico is still one of the most famous in Sicily, heralded for using only locally-produced ingredients and Sicilian almonds from Avola to make her pastries, jams, and marzipan. In addition to her marzipan creations, she is known for her torrone (a type of traditional nougat), Seni di Vergine (“Virgin's Breasts” with sugar, almonds, and citrus jam), and Paste da Risposto (decorated with handmade flowers). 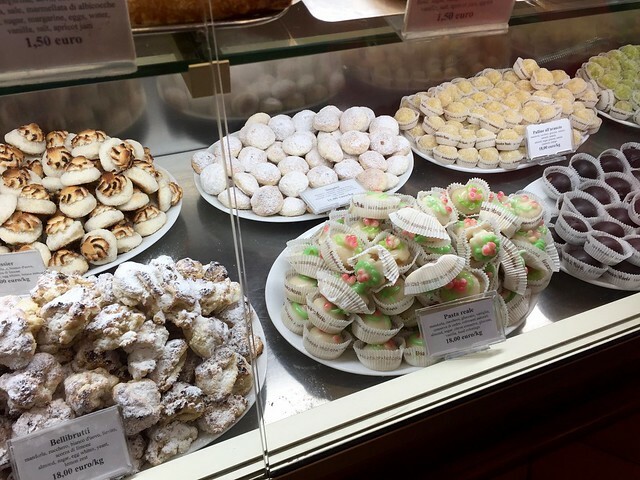 She still works in the shop, greeting customers with a warm smile and samples of her famous pasticcini. 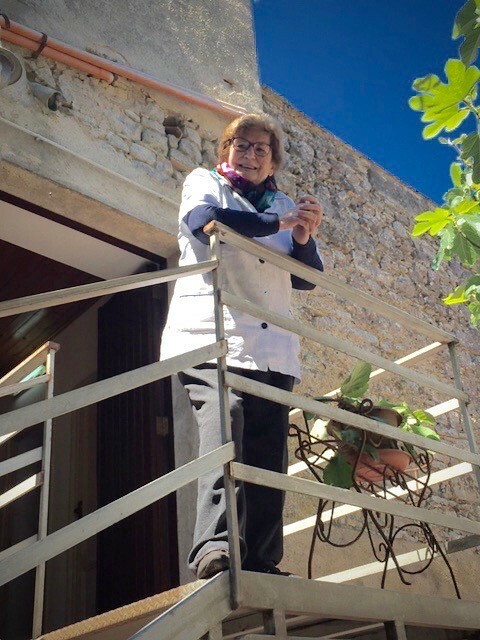 Brian and Maria were enjoying a café and Genovese (custard-filled pastry) on the terrace of her shop a few days ago when she called out to greet them from her balcony.